Will Men And Their Doctors Change Course On PSA Tests? : Shots - Health News The U.S. Preventive Services Task Force said the harms, such as false alarms and unnecessary surgeries that leave some men impotent and incontinent, outweigh the benefits of routine PSA blood testing for prostate cancer. But it's far from clear that doctors and their patients will heed the advice. The dust is nowhere near settled over advice that men of all ages should forgo a routine blood test to detect prostate cancer. The harms, such as false alarms and unnecessary surgeries that leave some men impotent and incontinent, outweigh the benefits of the PSA test, according to the U.S. Preventive Services Task Force. So the influential group this week made an official recommendation against a regular PSA. To be sure, if doctor and patient want to go ahead with a PSA test, that's OK, as long as there's been a frank discussion about the pros and cons. "The decision to start or continue screening should be an informed one that reﬂects an understanding of the possible beneﬁts and harms and should respect an individual man's preferences," as a summary for patients puts it in the Annals of Internal Medicine. Love or hate the recommendations, will they stick? Previously, for instance, the task force had recommended against PSA testing of men over 75. And, as the case of 81-year-old financier Warren Buffett showed recently, that advice has not been universally heeded. 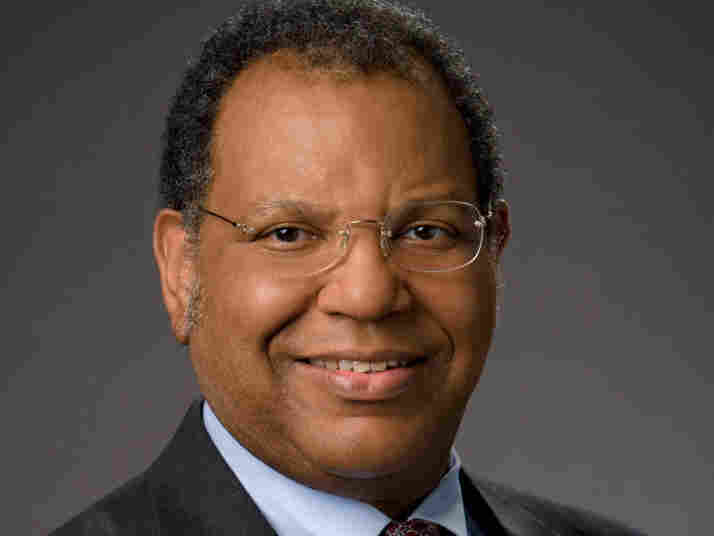 "I'm going to predict that people will continue to be unscientific," Dr. Otis Brawley, chief medical officer of the American Cancer Society, told a group of reporters and editors at NPR in Washington Tuesday. And, among other things, that means doctors will "continue to practice faith-based medicine" instead of one rooted in the best evidence, he said. The latest guideline shouldn't be such a surprise. The American Cancer Society has been saying since 1997 that the evidence for benefits from PSA screening haven't been proved. "Patients need to be informed of the risks and benefits of testing before it is undertaken. The risks of overdetection and overtreatment should be included in this discussion." But habits haven't changed, Brawley said, adding, "Nobody is listening to us." Ultimately, Brawley says men and their doctors need a better test than PSA, one that can detect prostate cancers that both can be cured and need to be cured. Many men with slow-growing prostate cancers will die of other causes. For more on the fallout from the recommendation, see this roundup of a chat on Twitter Wednesday featuring Brawley, Nancy Metcalf from Consumer Reports and urologist Deepak Kapoor. Liz Szabo, health reporter at USA Today, moderated the lively discussion.